Visit Banks Mill Studios during our winter Open Studios event to meet over 50 artists, designers, makers and creative services providers. As well as seeing first hand how our artists create their unique designs and handmade products you can also buy original work directly from the artists themselves, something that can't be experienced on the high street. Or meet one of our creative service providers to discuss how they can work with you; from branding and website design, digital and video promotion or photography services. There will also be an on-site pop up cafe on Saturday and Sunday for you to recharge your batteries and a kids trail to keep our younger visitors engaged with the artwork. Please note that there is no lift in Banks Mill so there is limited access to the ground floor only for less abled visitors. Car parking is available free at the Enterprise Centre (Bridge Street) and Lonsdale House (Quaker Way). Local metered car parks include Chapel Street, Bold Lane, Brook Street and Ford Street. Pay and display on street parking is available on Brook Street, Bridge Street and Nun's Street. See our map for locations. 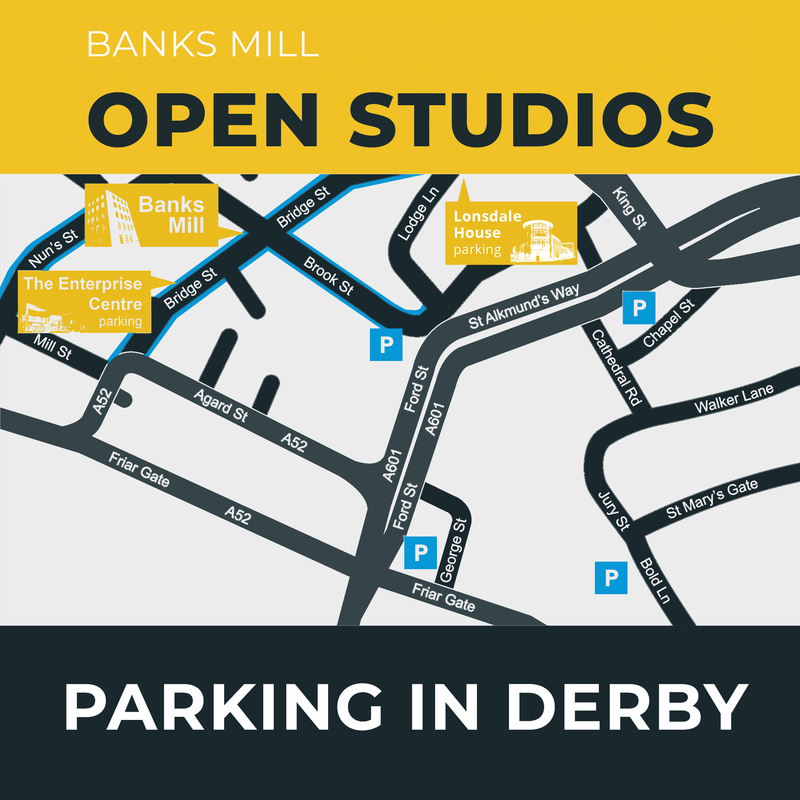 Banks Mill Open Studios 2018 from Film City on Vimeo.